According to a report by Tech Crunch, Dolby has been secretly testing an app since June with the code name "234." The app, once tested under the name of Dolby Live, will reportedly allow musicians to produce studio quality music using their phone. Dolby's technology will allow the app to eliminate background noise while recording, and more. 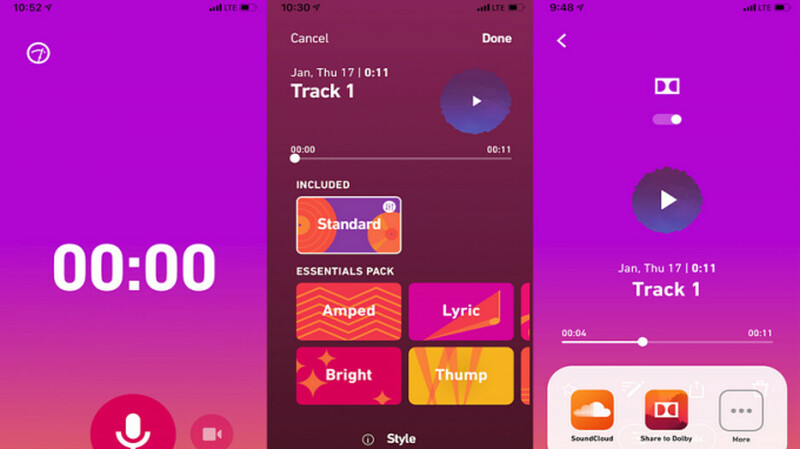 Although the app is expected to be free, users will be able to purchase audio packs that will include various effects with names like "Amped, Bright, Lyric, Thump, Deep, or Natural." A seven-day free trial will be offered to those who install the app. Those interested in participating in the testing can register at the Dolby 234 sign-up website. Dolby will let you know if you've been selected to test the app. If you are chosen, Dolby says that you will be able to install "234" via Apple's TestFlight platform. 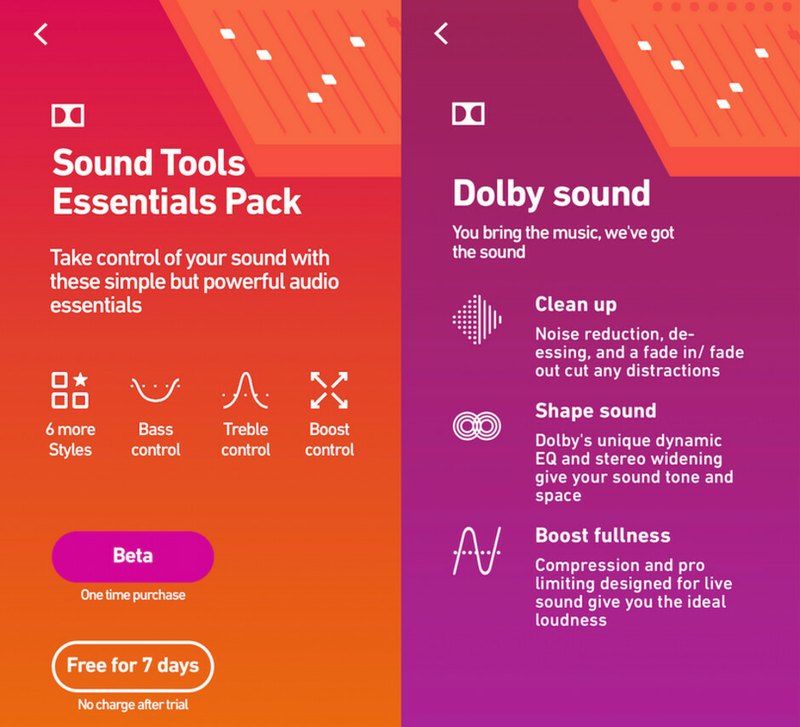 Screenshots show that besides eliminating background noise, the app will allow the user to have more control over bass and treble, give the sound more tone and space with Dolby's Dynamic EQ, and record live performances at the "ideal" volume level. Once a recording is completed, the user can share it with Dolby's audio based social network, upload it to Soundcloud, or export it. You won't be able to record an album using the app, at least not in its current form. But "234" seems to be perfect for those times when you're out and about (with or without your guitar) and inspiration strikes. exactly, so basically crap because there is no way you can compare a phone mic with a professionally used one in a recording studio.